Bahria Enclave Apartments is a Luxury Apartments’ project of Bahria Town which is part of Islamabad’s best housing project, loaded with wide green areas and parks. Bahria Enclave Apartments are located in Bahria Enclave, adjacent to Shahzad Town and near Park Road and Kuri Road. The project of Luxury Apartments is designed to provide, Studio, 1,2 & 3 Bed luxury apartments on a 2 year easy installment plan. Bahria claims that Bahria Enclave Luxury Apartments are crafted with the finest living standards these apartments provides all that you want for a cutting edge classy life style. Part of Bahria Enclave’s master planned community, it provides its residents with all the facilities, luxuries and amenities under a secure gated community. Some of the key attractions are Un-interrupted power supply, gas and water, large commercial areas, Five star Hotel and Spa, International standard schools and hospitals and much more. 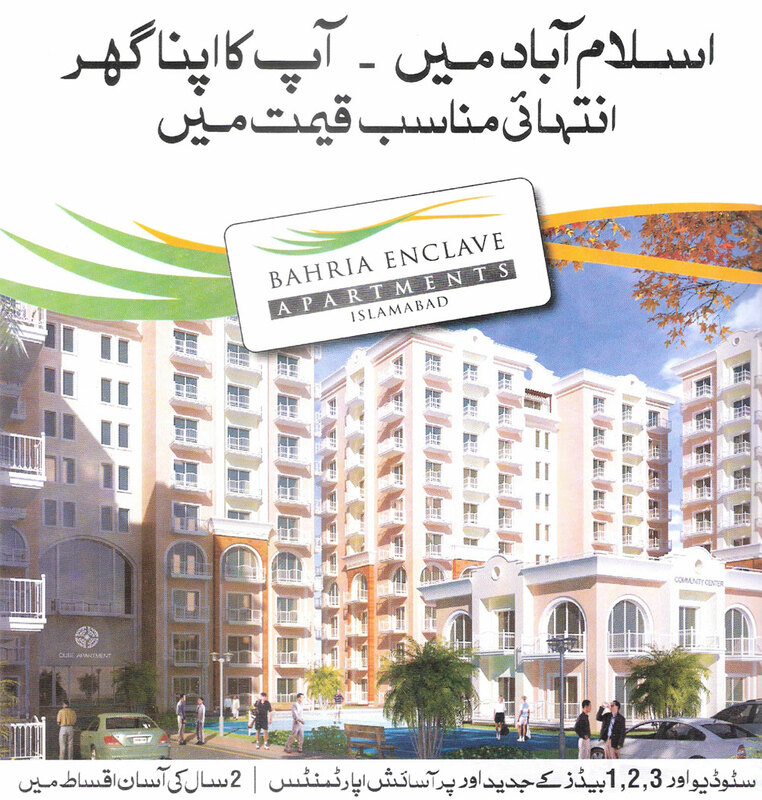 Bahria Enclave Apartments are the lucrative investment opportunity in Islamabad at this moment. Posted in Apartments for Sale, B-Sector, Bahria Enclave Islamabad and tagged Bahria Enclave Apartments.